Between 1915 and 1918 one of the most incredible wars of history was fought without remission on these mountains by the Italian and Austro-Hungarian armies – the First World War, also known as the Great War. Both armies had to face not only the enemy attacks, but also the harsh atmospheric conditions typical of our winter with cold temperatures and snow. During this period, posts, long galleries in the mountains, defensive trenches and other military hutment have been created. The restoration of these areas has permitted the necessary conservation of the historical memory and also the creation of proper itineraries along the war positions, where people can directly realise the soldiers’ war experience. The hiking trails have easy and middle difficulties and a duration of less than an hour or of an entire day. They are all well marked and enriched with informative panels. This area, famous for the battles fought during the First World War, is rich with itineraries, each one with different difficulties, which start directly from Falzarego pass. 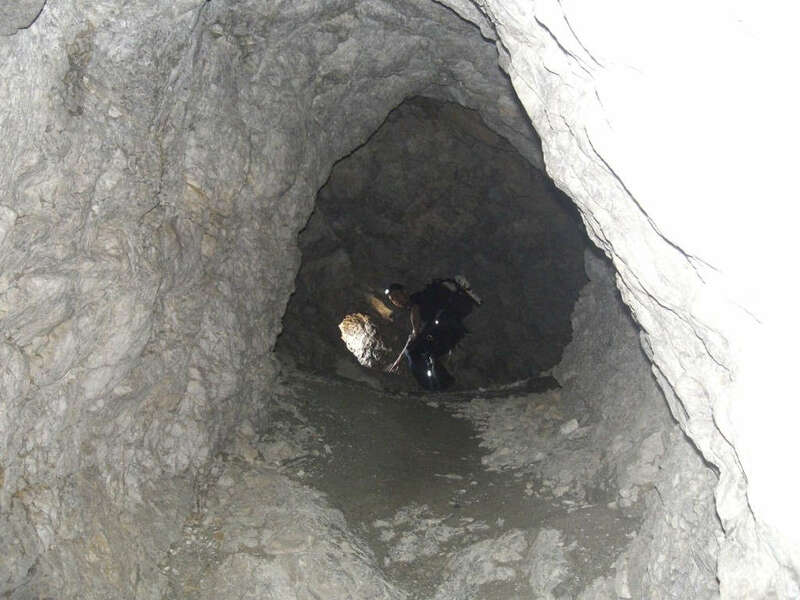 -The visit of Museum Forte Tre Sassi at Val Parola pass. 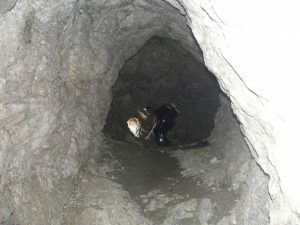 -Possibility to reach Mount Lagazuoi through the Lagazuoi rock tunnel (in this case head lamp and helmet are needed and can also be rented in the same place – excursion of medium difficulty). You can explore trenches, posts and huts in the battlefield of the First World War thanks to guided excursions of various difficulties . The 5 Torri area can be reached starting from Rifugio Fedare (easy difficulty – about 2:00 hours) or using the lift to Rifugio Averau and then from here by walking. Excursion to the “Bloody Hill”, sadly known as it was the location of bloody battles during the First World War and because during this period a circumstance saw the Italian troops explode a bomb of enormous power right here. 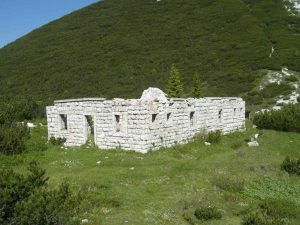 The walk to the top of Col di Lana can start from Palla and Agai hamlets, in the Livinallongo municipality. The excursion reaches 2,465m and it is quite demanding because of the length and the uphill path. The duration is around 6:00h, included the return. On the top, there is a small church built to remember the dead soldiers during the conflict. 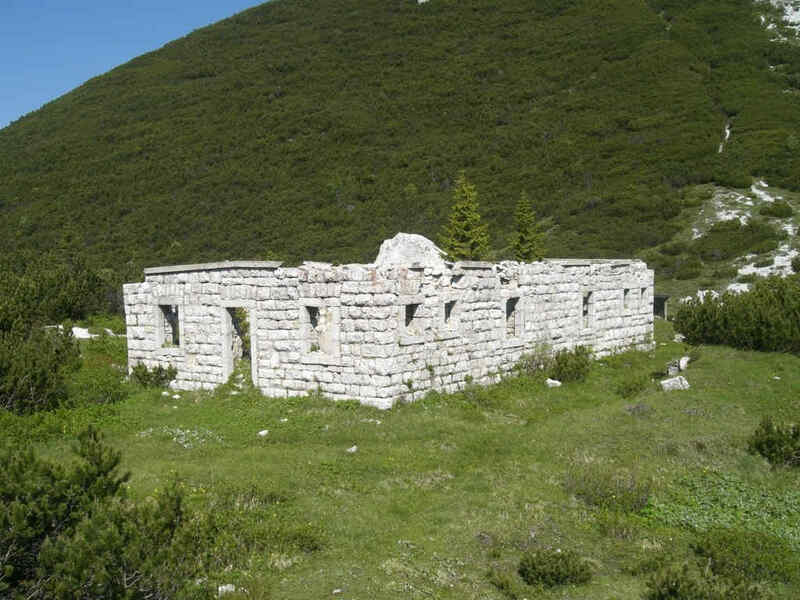 The Marmolada is one of the saddest theatres of war. In this mountain Austrian soldiers dug the famous “Ice City” – a labyrinth of tunnels dug in the ice and now disappeared because of the natural movement of ice. The area, where the border once was, can be explored through excursion itineraries that lead to the Great War locations. Moreover, the museum (the highest of Europe at almost 3,000 m) can be visited at Punta Rocca station, where there is also a small chapel consecrated by Pope John Paul II.